Robert Spragg is a recent graduate of the MFA Curating programme at Goldsmiths University, London, having previously obtained his Bachelors degree in Art History from Lancaster University. Amongst his independent projects, he has produced a number of exhibitions, publications and film screenings in London, and is a member of the curatorial collective ‘VOL.1’. Previous to this he curated exhibitions over the period of year in his house in Dusseldorf under the moniker ‘Subject Matter’. 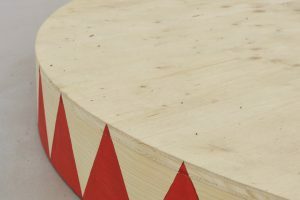 His current research, through the examples of Speculative Realism, Graham Harman and dOCUMENTA 13, critiques what he perceives as the recent movement in contemporary art from an anthropocentric worldview, towards the creation of an ecology that instils inanimate objects with agency and citizenship, and decreases the importance of the human subject.